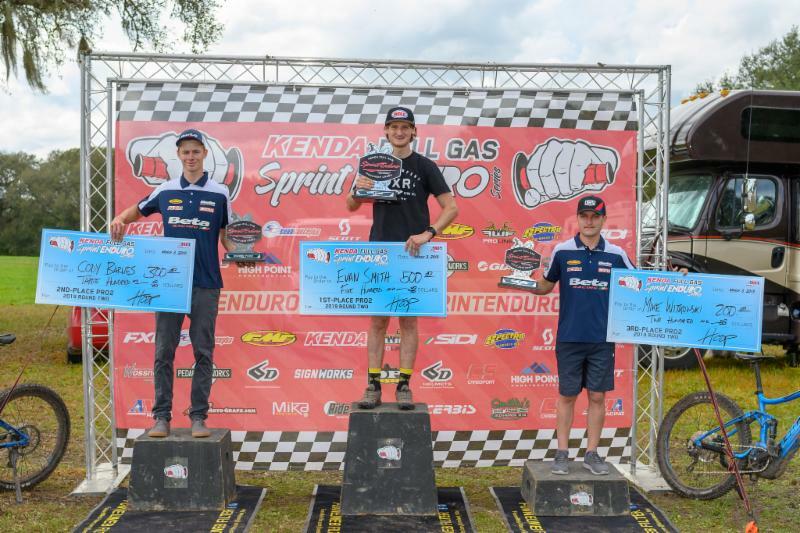 Beta finishes 1st and 2nd in Full Gas Sprint Enduro, plus AMA East Hare Scrambles and Rev Limiter news! Cody Barnes finished on the podium this weekend in 2nd place in the Pro 2 class at the second round of the FGSE series. Mike Witkowski also ended up on the podium with a 3rd place finish in the Pro 2 class. The next race for both riders will be at the 1st round of the Grand National Cross Country Series on March 9th-10th in Palatka, FL. "My weekend started off good with a good first test, but I made some mistakes in the first enduro test and dropped a few positions. After some track changes, due to the mud holes, I started making ground on the competition and worked my way into 3rd going into the last test of the day. With about three turns until the finish on the last test I had a good get-off causing me to lose a lot of time and dropping me back to 6th for the day. On day two of racing I knew I had my work cut out for me. I was able to do very well all day in the cross test, but I was losing some time in the enduro test. I was still able to make my way to podium contention going into the last enduro test. I found where I was losing time and went into the last test knowing I had to run a perfect test. When the test was done, I was able to claim the second place spot in the Pro 2 class. My bike was working awesome all weekend and I had a blast at this event!" "The first day of the Sprint Enduro in Georgia couldn't have went better. I stayed off the ground while riding smooth and consistent. With only a couple mistakes I was happy with my bike and riding performance. I ended up winning day 1, which I hadn't done yet. I was happy going into day two with a solid lead. Day two started off on the wrong foot with a shoulder problem in the first test leading me to lose over 10 seconds. After the first test I was down and out of the lead. But, I charged all day despite the adversity I endured. I ended up winning test 5 for the day, but I came short of 2nd place for the weekend by less than a second due to my first test result on day two. I was pretty bummed as I wanted to win and I knew it was all mine after day one. Ready for our first GNCC next weekend in the Florida Sand. Definitely motivated after a not so good end result at this sprint enduro!" Beta Factory Team rider; Rachel Gutish finished on top of the podium in 1st place in the Women's class at round 2 of the East Hare Scramble Series. Rachel Gutish's next race will be at the 1st round of the Grand National Cross Country Series on March 9th-10th in Palatka, FL. 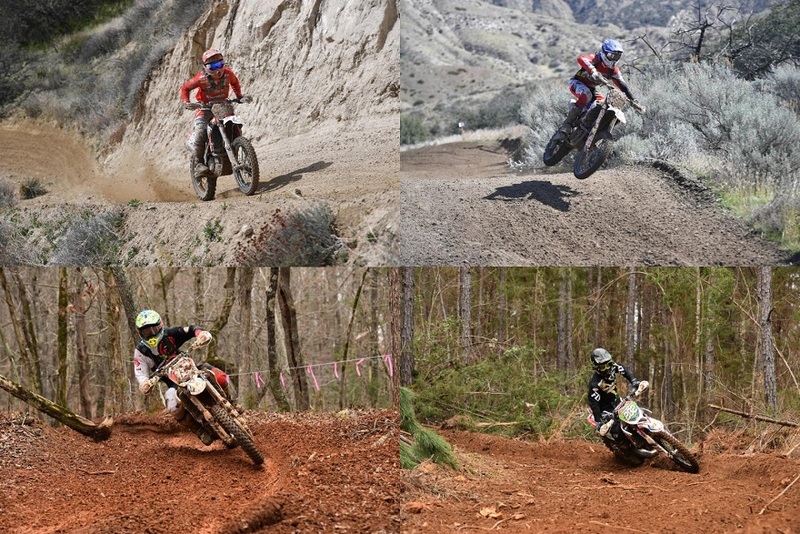 Beta Support rider; Kyle McDonal also topped the podium with a 1st place finish in the Pro Class. "I'm very happy with how the race went! I was smart and consistent through the deep ruts and mud-holes, which was enough to give me the win! This also moves me up into first place in the series points, which I'm pretty excited about." "Yesterday was round 2 of the AMA East Championship in Garysburg, NC and with all the rain we have been getting it made for a good mud race. Six riders showed up on the pro line and with starting so close to the corner I was last off the line. I was able to make good passes and pick a lot of good lines the first lap to put myself in 1st where I rode for the remainder of the day with a 30 second to 1 minute lead. We did 9 laps on a shortened course due to standing water with a mix of single track, clay hill climbs and open jeep roads. I was able to stay consistent throughout the race and stay out of any deep mud holes where other riders were getting stuck and that really gave me an advantage over the 2 hours. On lap 8 I smashed my shift lever, but luckily I was able to use my hand in the open section to shift and leave it in 3rd for the woods sections." Max Gerston placed 6th at the 2019 Rev Limiter last weekend. Max Gerston's next race will be at the Wild West Extreme Enduro event on May 4th, 2019 in Sparks, Nevada. "The Rev Limiter Extreme Enduro was tough! I actually had a lot of fun riding the terrain and my Beta 300 RR was finding incredible traction. Unfortunately the race was poorly organized so the scoring was confusing and rules were being changed mid race which takes away from the legitimacy of the results. I am looking forward to the next round, and I continue to fall in love with the 2019 300 RR"